While packing up my Games Room for one of our (very infrequent) moves, I stumbled across this unique PS2 experience from my mid-20’s. An intended ‘short trip’ down memory lane, turned into a full-fledged evening of orchestral delight. Having #JustBeatIt back in 2013, I thought I’d have retained some of my conducting prowess – but alas, I was hammered with more boos than a Mario Ghost House. Deflated, humiliated, and in my weakest of moments, I set the controller down and reached for the Power button. But then, as if speaking to me from the grave, I recalled the wise words of famous composer Gustav Mahler – “I am hitting my head against the walls, but the walls are giving way.” And give way they did! 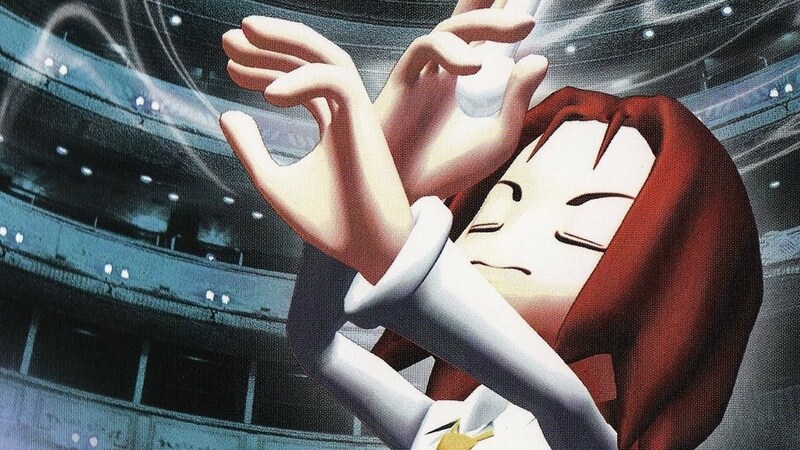 Niche, in the best sense of the word, the eclectic experiences that the Fresh Games label offered during the PS2 era were at their peak with Mad Maestro! A concert hall on the brink of demolition. A young and aspiring conductor named Takt. A nearly impossible task of recruiting the worlds best musicians. This musical mixture of a plot may seem unique in its own right, albeit a little shallow. But stir in magical fairies, a drumming lion, an alien invasion, and a beautiful love story that blossoms into marriage – and you have another great Fresh Games experience. Even if you aren’t a regular attendee of the local symphony, there’s enough addictiveness cooked into the gameplay to bring you a solid evening of enjoyment. 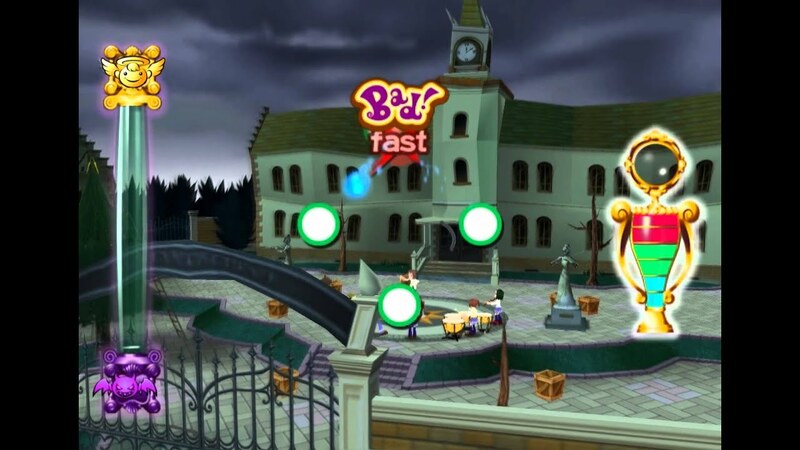 The premise consists of the usual timed button presses to conduct some of history’s most famous orchestral scores, but enforces not only tempo – but ‘volume’ as well. A soft button press instead of a hard button press (thanks to the DualShock2’s pressure-sensing capabilities) can make the difference between heaven and hell (game-mechanically speaking). Your first composition will be a struggle, and while I definitely felt like I was getting better with each piece, the challenge never waned. I never quite ‘mastered’ the art of the baton. I think the legendary Richard Strauss put it best. “I may not be a first-rate composer, but I am a first-class second-rate composer”. Graphically, the game is…Japanese. Bright palettes and over-the-top features offer an entertaining roster of characters and locales. As if taken from an anime sketchbook and reskinned into the polygonal shapes prominent in the early 2000’s. The backgrounds spring and dance along to the beats of your band, reacting differently if you are performing well or poorly. Everything just seems alive. It may not have the texture and tones of some of its peers on the console, but it certainly has an uplifting ambiance that melds beautifully with the games core component – its music. The game is challenging. The game is fun. And whether or not the zany story interests you, just expect to head into a colorful and quirky rhythm romp accompanied by Brahms, Strauss, Mozart, Beethoven, Wagner and the rest of the gang.